This morning I did a quick road trip visit to Mitcham Private Hospital. It was great to get away from the drama of the spill or respill, and back and fourth of Kevin Rudd and Julia Gillard. I had conversations about babies being born, visitors and feeding, and the only talk of a spill was milk. Yay! No matter what is going on with all their infighting babies are still being born, families and midwives are still caring for them and life goes on. Going into a Special Care Nursery at any time puts life into perspective, but especially after seeing leaders of the country argue about nothing. Sarah was feeding a little one when I walked in and there were lots of SCN babies today. The midwives in SCN were doing a great job. We had a particular request for a service to help a family with their baby in an isolette. It was a lovely visit and I met new midwives I haven't met before. One of them even told me about a friend of hers who had used Look@MyBaby at St Vincent's Private Hospital and loved it. Mitcham is proudly one of our flagship hospitals and all the midwives love the idea of using Look@MyBaby instead of having everyone visit you in hospital. 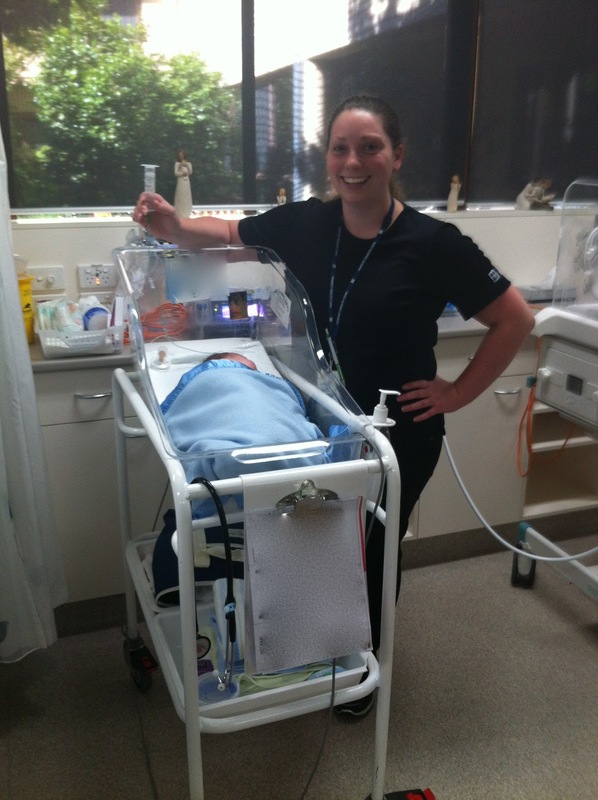 We love this blog post by Mia Freedman "Should you visit a new mum in hospital?" Thank you Mia Freedman and http://www.mamamia.com.au/ for letting us share your article. Thank you for a great visit Mitcham Private. See you soon.